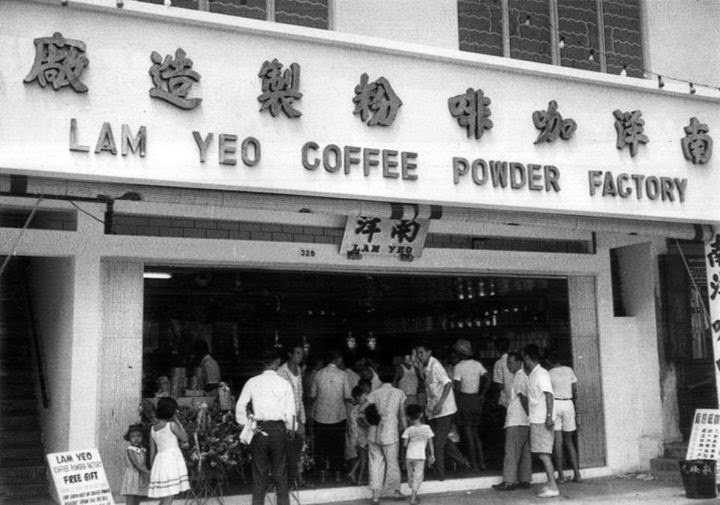 The Nanyang-style coffee at Lam Yeo is a special recipe that has been passed down from generation to generation. 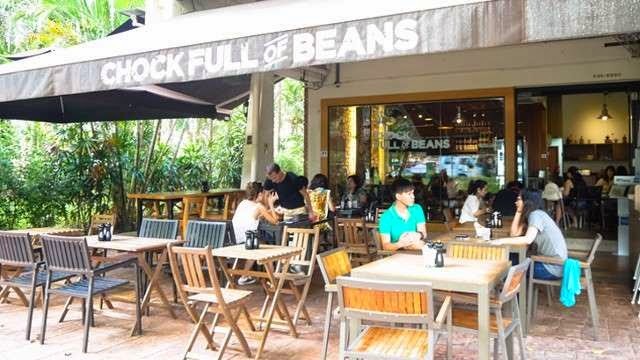 The beans were sourced from various parts of Indonesia as it suits out Singaporean taste buds according to third generation owner, Mr Tan Peck Hoe otherwise known as Benny. These beans were then roasted off-site with ingredients like maize and sugar before being sold here. 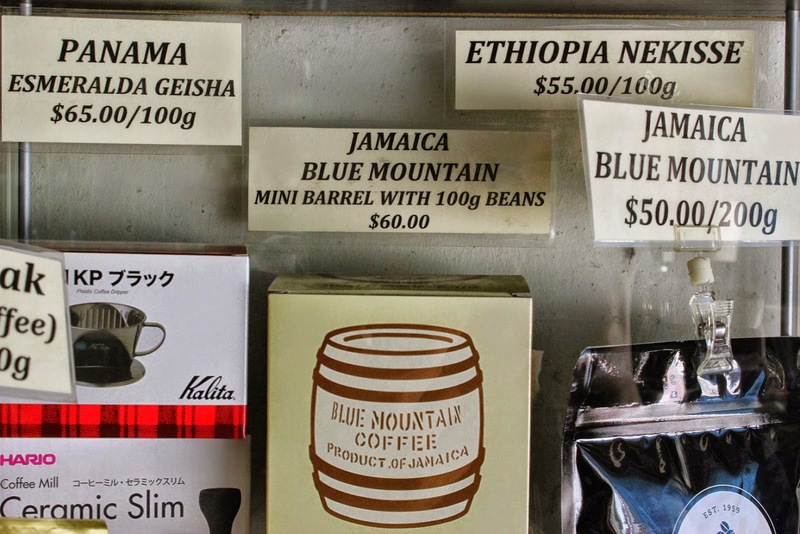 What is the best ratio of water to coffee powder for a French press should you wanted to brew their coffee at home? 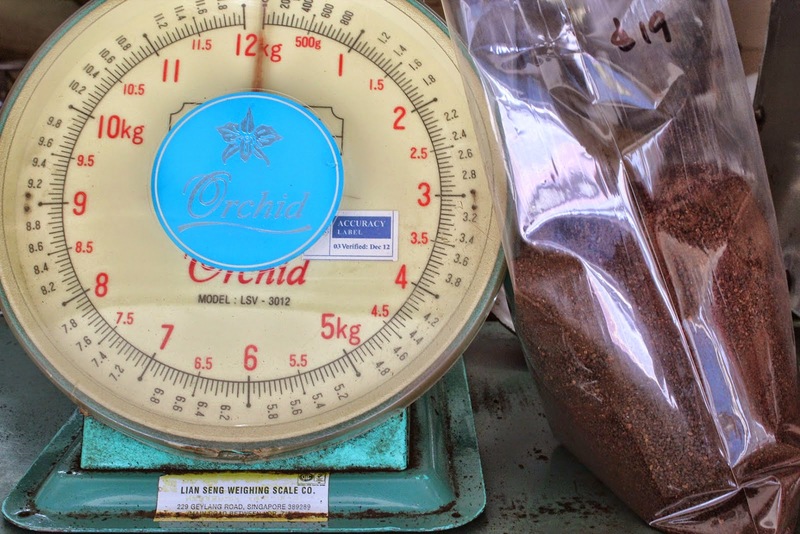 Benny suggests 10 grams for coffee powder to 200 ml of water. 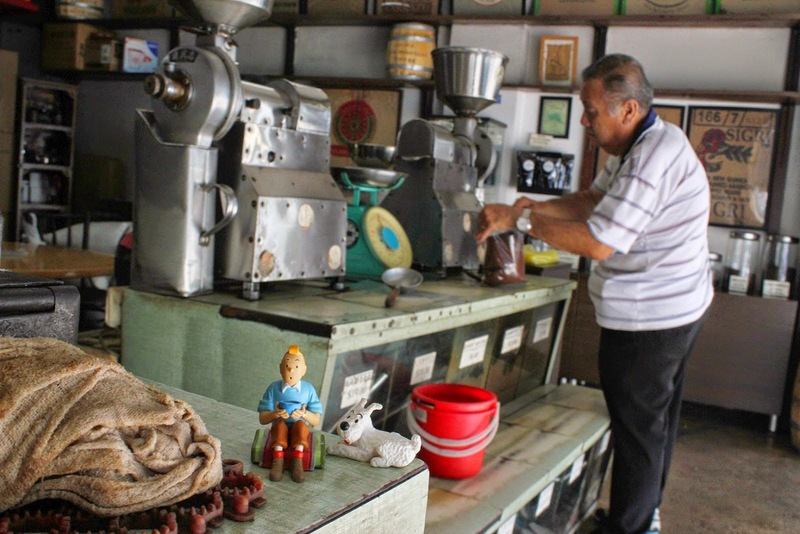 There are just about 400,000 of us in Singapore - those aged 65 and older. About 35,000 of us earn less than $1,000 a month. Another piece of depressing news - 24 out of 100,000 elderly people committed suicide last year. In the United States, only 14 in 100,000 did so. Also, the rate of elderly suicide is twice the rate of those younger in Singapore. Nearly 30 per cent of us in 2011 were living in a four-room Housing Board flat and about 24 per cent of us in a three-room HDB flat. 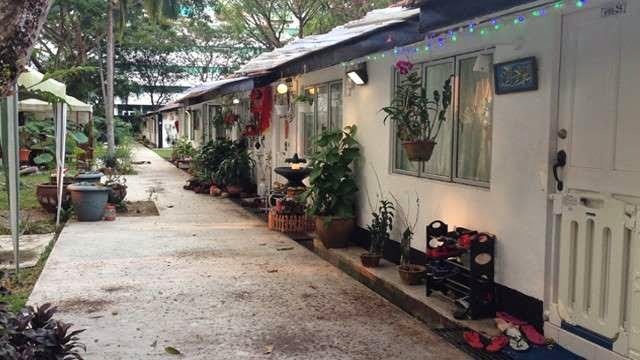 Twenty per cent were in HDB apartments that were five-roomers or executive flats. Fifteen per cent of us were living in private property. Seven per cent live in one or two-bedroom flats. The remaining 3 per cent of us were in institutions. The new initiatives under Smart Nation will target senior citizens as one of its key beneficiaries. These initiatives will go towards ensuring Singapore becomes an inclusive Smart Nation where no one is left behind. Prime Minister Lee Hsien Loong highlighted: "When we have IT, we want it to be accessible to everybody and we have to prevent a digital divide from turning up in Singapore - between those who have IT and can afford it and know how to use it, and those who do not have IT or do not know how to use it." The Prime Minister announced the Silver Support Scheme at the National Day Rally 2014. The scheme is intended to supplement the retirement savings of the needy elderly, to help them cope with their living expenses. It is similar to how we supplement the wages of lower-wage workers with the Workfare Income Supplement. The poor elderly would typically not have accumulated enough CPF during their working lives. Those who had not bought a flat, and who do not have enough family support, would be more vulnerable. 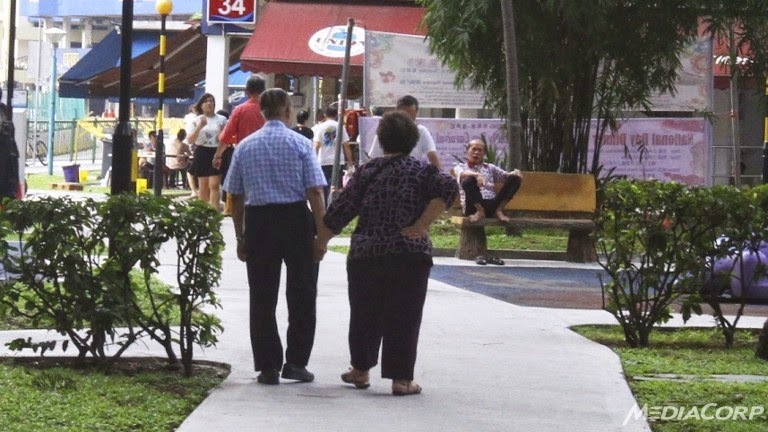 As this is a scheme for the long term, and must be sustainable, we are studying carefully the criteria to be used in determining which group of elderly Singaporeans should be eligible. We will share the details of the Silver Support Scheme at Budget 2015. 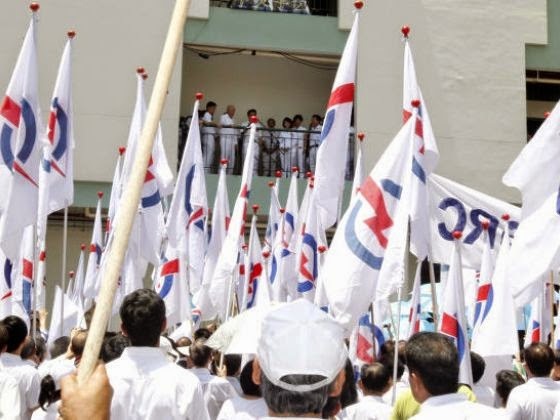 THE Silver Support Scheme was the most well received among the measures announced at this year's National Day Rally, a recent government poll has shown. 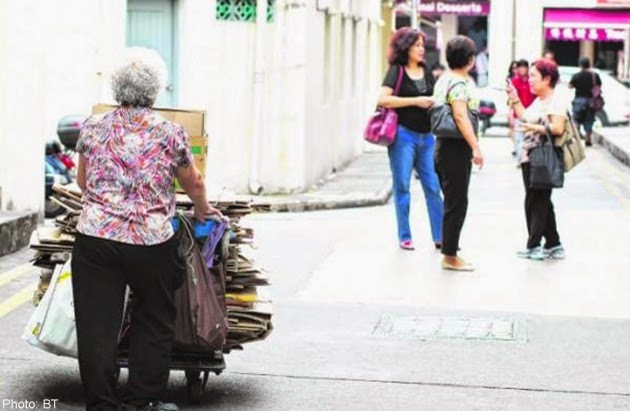 More than eight in 10 applauded the scheme, which will provide a payout in the form of an annual bonus to low-income Singaporeans aged 65 and above. 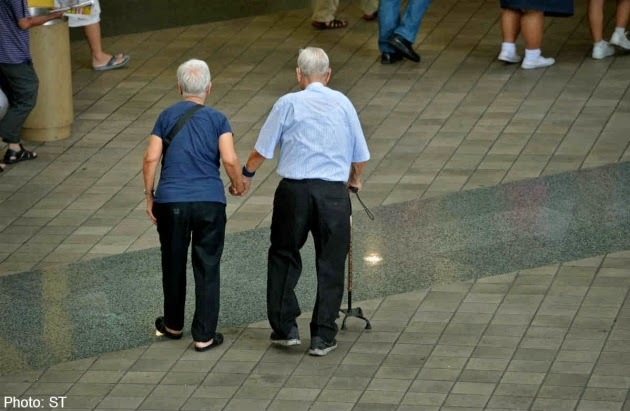 Other measures to provide greater retirement assurance also enjoyed support, with seven in 10 cheering a move to allow lump sum withdrawals of Central Provident Fund savings, subject to limits, from age 65 onwards. The Silver Support scheme introduced by Prime Minister Lee Hsien Loong during his National Day Rally speech, will benefit 10-20% of Singaporeans who have not saved enough in their Central Provident Fund (CPF) accounts, do not own flats, and are without family support. The scheme will offer an annual bonus and is meant to supplement the payouts from the needy old folk's CPF accounts when they turn 65. Madam Mary Chau is a potential beneficiary of the Silver Support scheme. The 61-year-old had to stop working since a stroke 14 years ago robbed her off mobility in the left side of her body. She currently relies on a monthly $449 CPF payout which she barely gets by for her meals and essentials, after paying $33 for her one-room flat rent, $19.50 for conservancy charges, and $10 for utilities. She says the extra cash from the Silver Support scheme can allow her to "relax a bit" and that "$200 would be enough". Thank You Pioneers for your contributions to the nation. 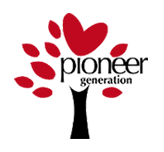 The Pioneer Generation Package provides healthcare benefits for all Pioneers, for life. Click here to find out more. Terima Kasih Para Perintis atas sumbangan anda kepada negara. Pakej Generasi Perintis menyediakan faedah-faedah penjagaan kesihatan seumur hidup untuk semua Perintis. Klik di sini untuk maklumat lanjut. முன்னோடிகளே, நாட்டுக்கு நீங்கள் வழங்கிய பங்களிப்புகளுக்கு நன்றி. முன்னோடித் தலைமுறைத் தொகுப்புத் திட்டம் எல்லா முன்னோடிகளுக்கும் வாழ்நாள் முழுதும் சுகாதாரப் பராமரிப்பு நன்மைகள் வழங்குகிறது. 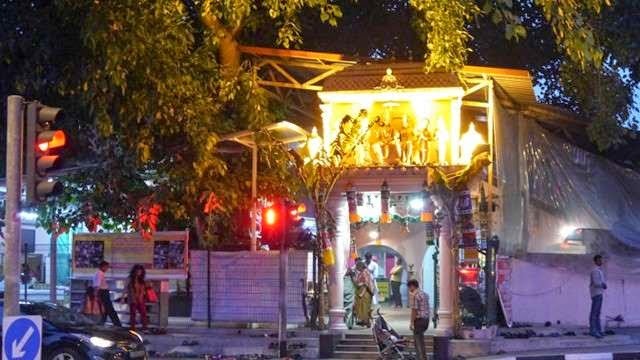 மேல் விவரங்களுக்கு, இங்கை கிளிக் செய்யவும். To honour and recognise pioneers for their contributions, more than 500 thermal flasks filled with Milo were given out to pioneer residents in Sembawang GRC yesterday. Led by Members of Parliament for the constituency — including Minister for National Development Khaw Boon Wan and Senior Parliamentary Secretary for Education and Manpower Hawazi Daipi — the flasks were distributed at the Active Ageing Carnival held at the Woodlands Waterfront Park. About 2,000 residents across all age groups turned up for the annual event and enjoyed game booths, a mass Zumba workout as well as lion dance and aerobics performances, among other activities. 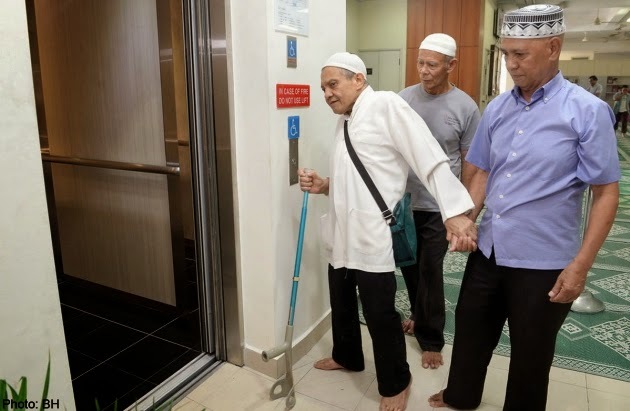 WORSHIPPERS at the Al-Istiqamah Mosque in Serangoon North can now enjoy new and more elderly-friendly facilities after the completion of year-long upgrading works. The $1.2 million upgrade, which was completed this month, aimed to improve accessibility for the elderly and people with limited mobility. The new features include a lift to the three-storey main mosque building. Ablution areas and toilets have also been upgraded with the addition of anti-slip tiles. 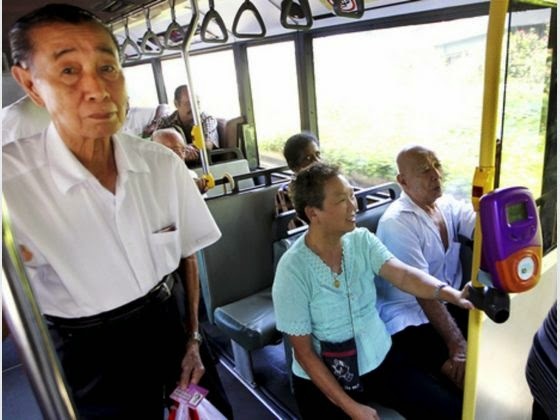 There will soon be a comprehensive plan that looks into making public transport facilities more elderly-friendly. This includes possibly having more seats at bus stops and train stations or their sheltered walkways nearby, having more anti-slip flooring, and more toilets in bus interchanges and MRT stations. 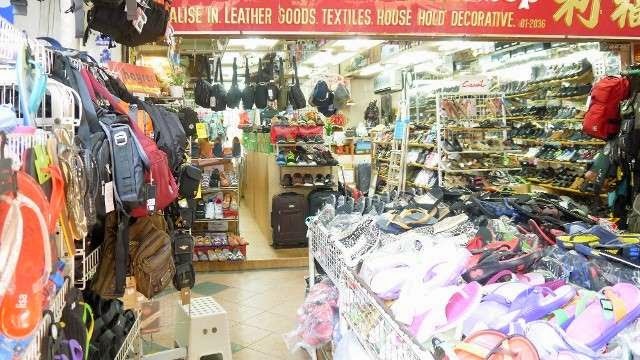 More details are likely to be announced in the Committee of Supply debate next year, said Senior Minister of State for Transport Josephine Teo in an interview with Lianhe Zaobao on Saturday. I support Mr Amos Lee’s arguments, in “Tweak wage index in current transport fare review exercise” (Nov 25), especially against comparing fare affordability in other countries and about the high cost of car ownership here. The latter should be taken into consideration by the Public Transport Council in the fare review. It is also important that the affordability of the concession rates and passes for the elderly be reviewed. 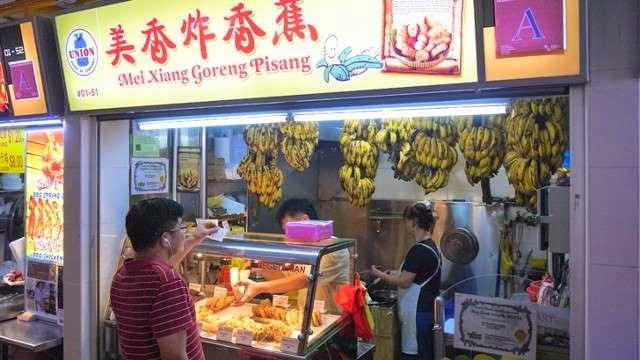 A special Pioneer Generation concession should be considered to appreciate their contributions. To decide how best to help elderly Bedok residents to age well, grassroots organisations went to ask the seniors themselves. Close to 3,000 of them were surveyed in 2012 to find out what their social, health and financial needs were. They were also invited to town hall meetings and helped audit the town's elderly-friendly features. 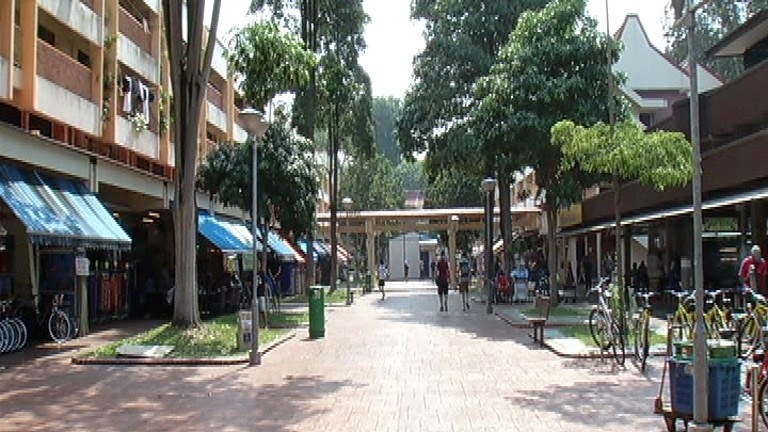 These findings became the basis for Bedok's Community for All Ages masterplan, which now has programmes tailored for six groups: active agers, lonely or frail seniors, those in need of financial help, those with disabilities, those with health risks and elderly caregivers. 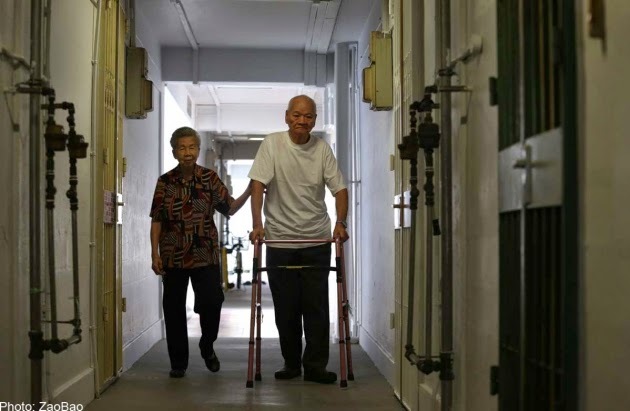 Retiree Chan Chew Lock, 78, and his brother Chew Mun, 75, suffer from slight dementia and live on their own in a one-room rental flat. Until a week ago, there was no one to check in daily on them in case they needed help. But now they have a friend in one of their neighbours in Block 51 Chin Swee Road - Mr Goh Kim Eng, 73, who visits them twice daily for a chat. 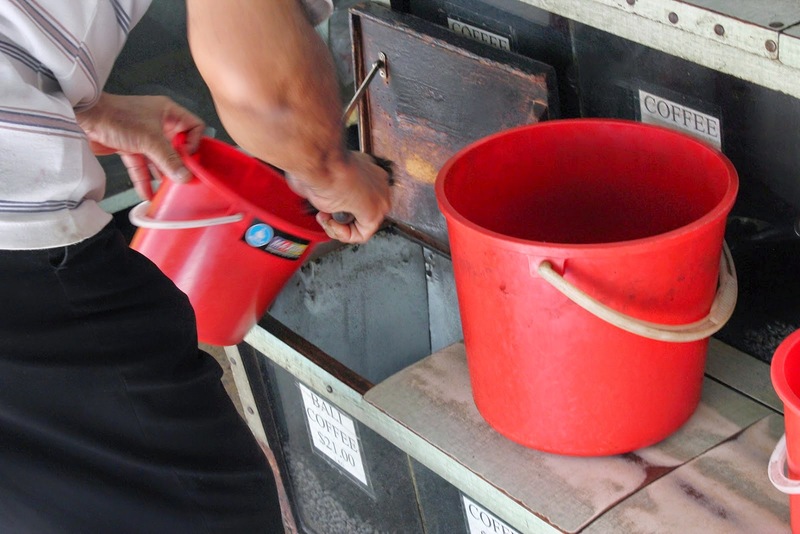 "I'm healthy and I have so much time, so I decided to help," said Mr Goh, a retired restaurant cleaner. 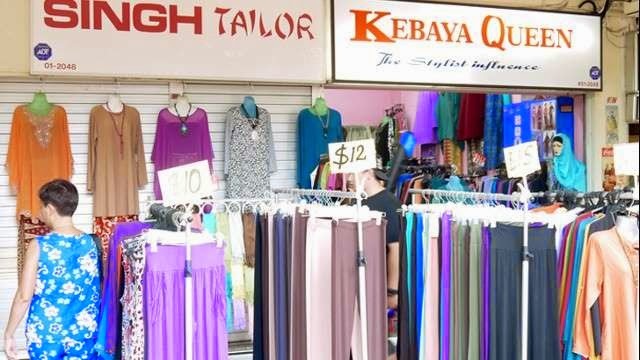 They were "match-made" under a pilot programme started by grassroots groups in the Kim Seng precinct of the Kreta Ayer neighbourhood. The biggest constituency-level IT bootcamp since 2012 is currently underway across 15 schools, attracting 348 senior citizens to register so far. 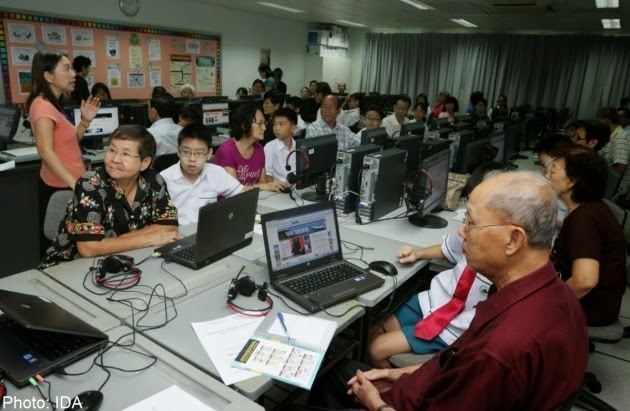 Organised by the Infocomm Development Authority of Singapore (IDA) in collaboration with the People's Association Active Ageing Council (PA AAC) and Tampines GRC Active Ageing Committees, the four-day Tampines GRC Intergenerational IT bootcamp is conducted by the senior citizen's grandchildren or student volunteers aged between 10 to 18 years. 15 schools have been holding IT workshops on their premises since Mar 17 for the elderly to learn various infocomm skills. Education Minister Mr Heng Swee Keat visited three schools conducting the workshops on March 19. 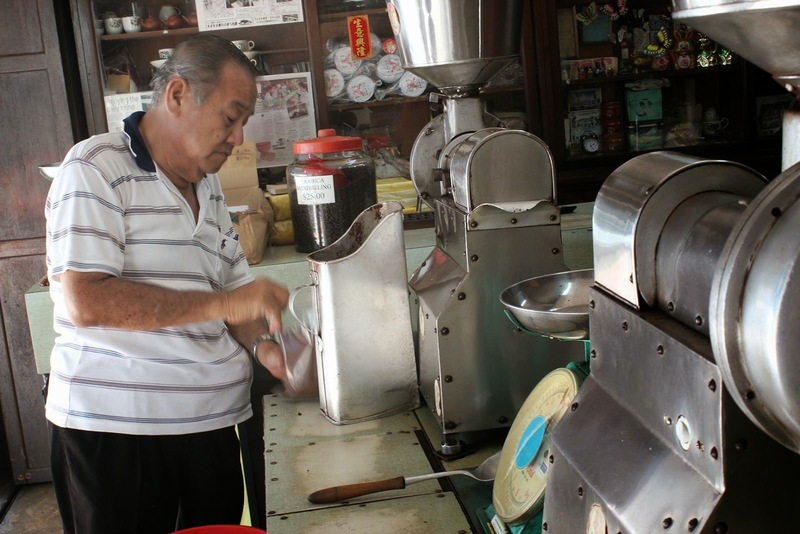 Some elderly Singaporeans are taking matters into their own hands, in their bid to get Traditional Chinese Medicine, or TCM, covered under Pioneer Generation Package (PGP) subsidies. In a written parliamentary reply earlier this month, Health Minister Gan Kim Yong described TCM as a form of "complementary medicine", and said the subsidies would not apply at TCM clinics. About 20 elderly Singaporeans have, however, signed and handed in a petition to MP for Marine Parade GRC, Tin Pei Ling, whom they hope will push their cause. Under the PGP, pioneers who visit general practitioners (GPs) on the Community and Health Assist (CHAS) scheme will get subsidies, and this could be for ailments ranging from the common cold to chronic conditions. Finance Minister Tharman Shanmugaratnam's Budget had good news for workers, students and especially the elderly. The much-anticipated package for the Pioneer Generation was the centrepiece and it did not disappoint: Its three components will work to ensure that the 450,000 Singaporeans who were at least 16 years old in 1965 will receive help with health-care costs for the rest of their lives. And all pioneers, regardless of income or wealth, will get the same package because the Government's objective is to honour the contributions of the whole generation, said Mr Tharman. 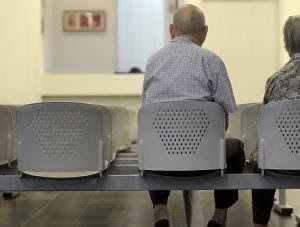 Singapore said it will spend S$9 billion ($7 billion) on health care and other benefits for the elderly, while providing companies with more funds to increase efficiency as the economy adjusts to a tighter labor supply. 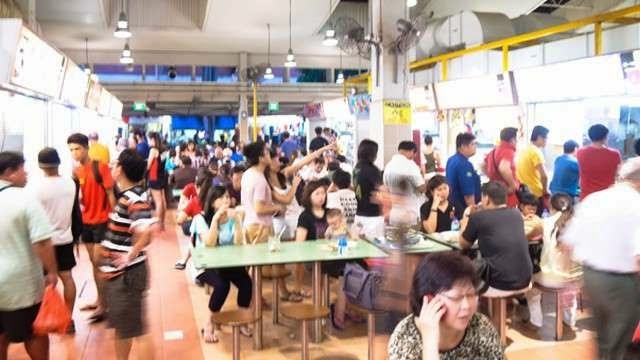 Foreign-worker growth has slowed “significantly” in the past two years, and curbs on the inflow of overseas labor have prompted companies to improve the way they do business, Finance Minister Tharman Shanmugaratnam said in his budget speech in Parliament yesterday. Such changes are needed to sustain wage increases while keeping the economy competitive, he said. “Without good productivity growth, if we try to push wages up, we will end up with either higher consumer prices or squeezed profit margins that hurt both businesses and ultimately jobs,” Shanmugaratnam said. Prime Minister Lee Hsien Loong in his National Day Rally speech said more must be done to help about 10 to 20 per cent of elderly Singaporeans who do not have enough savings in their Central Provident Fund (CPF) accounts and lack other means of financial support. To help them with their living expenses, the Government has decided that they will get an annual bonus when they turn 65. The yearly bonuses will be handed out as part of a new financial assistance scheme named Silver Support, said Mr Lee. 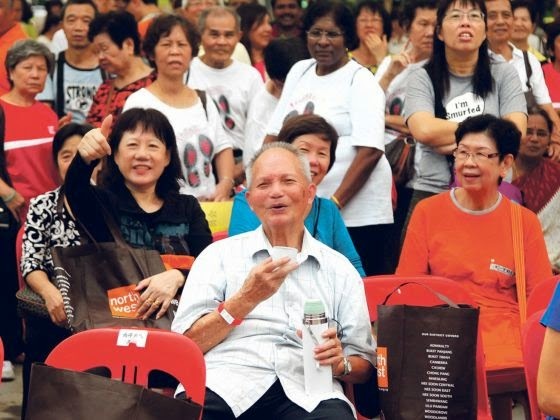 Most elderly Singaporeans have a positive outlook about the prospect of growing old in Singapore, according to a report released on Wednesday (Oct 15) by the Institute of Policy Studies (IPS). 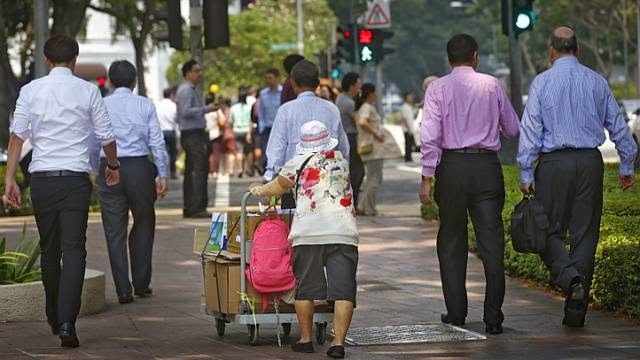 Most elderly people in Singapore are keen to continue working after retirement, according to an Institute of Policy Studies (IPS) report on a survey commissioned by the Council for Third Age. It covered more than 2,000 people between the ages of 50 and 74. An elderly woman was found wandering in the streets aimlessly in a schizophrenic state. She was later admitted into a home for the aged. Years later, it was discovered quite by accident that she owned a landed house. The house had been occupied by intruders. The superintendent of the home asked a lawyer friend to help her. But instead of doing so, the lawyer cheated the old woman by selling her house for nearly a million dollars and pocketing almost half the proceeds. This is not a fictitious account. It was published in the Singapore law reports last year. The unfortunate incident illustrates the point that elders and people with special needs are particularly vulnerable to financial abuse when they have valuable assets or stand to inherit substantial assets. 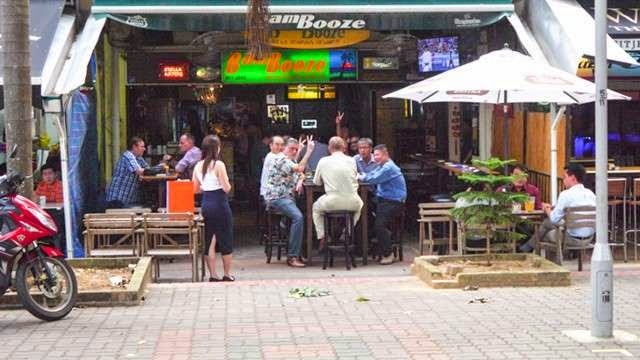 Singapore announced steep increases in alcohol, gambling and tobacco taxes as it pledged billions of dollars in health care subsidies for its growing ranks of elderly citizens. Alcohol taxes will rise 25 per cent, while duties on tobacco will jump 10 per cent. Betting duties from the state-linked betting firm Singapore Pools will rise to 30 per cent from 25 per cent of gross bets from July. 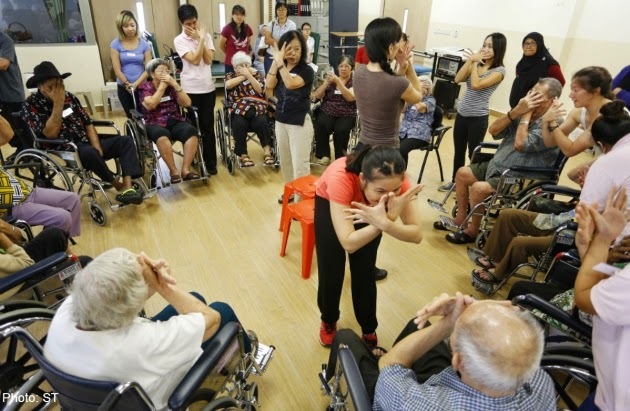 In his budget speech on Friday, Finance Minister Tharman Shanmugaratnam also unveiled a S$9 billion (HK$55 billion) package to provide life-long health care for the elderly. Under the plan, about 450,000 senior citizens who are part of what the government terms the "pioneer generation" - those over 65 - will benefit from a host of medical benefits including for outpatient specialist care and medical insurance. The Silver Support scheme is a good initiative which should be improved progressively to help the elderly poor meet their day-to-day needs without worrying that they have not enough to get by. I met Dr Alexandre Kalache back in 2011 and something he said then has stuck with me ever since as Singapore grapples with issues related to the rising number of old people. 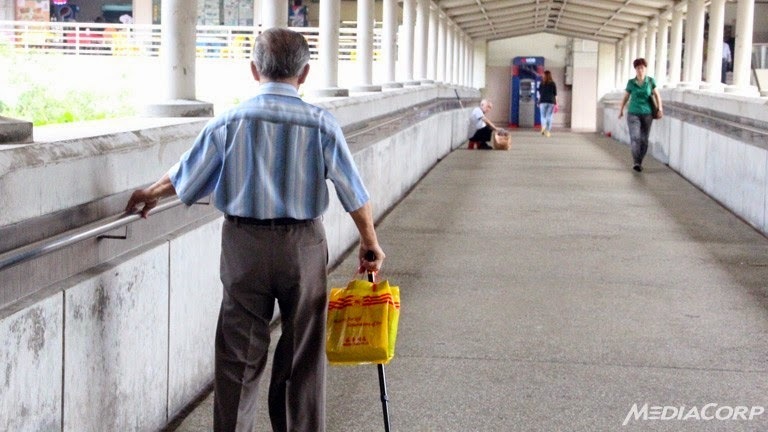 The former head of ageing issues at the World Health Organisation pointed out that while Singapore had done exceedingly well in increasing life expectancy, it had miles to go in helping its elderly age with dignity. I was staring at the scene where the body of Zheng Yuan Ying, 86, lay pinned under a bus on Wednesday morning. 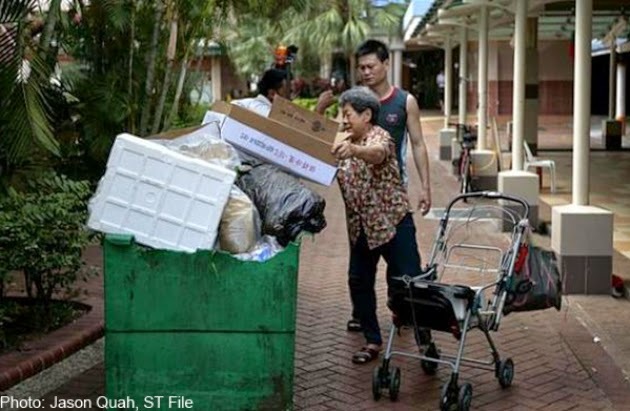 She was killed while making her way to a cardboard-collection point in Marsiling Lane. It is a grim reminder to me that a job, even as mundane as collecting discarded cardboard, comes with risks. Barely 20m from where Madam Zheng's body was, three elderly women appeared oblivious that one of their own had been struck down by a vehicle. 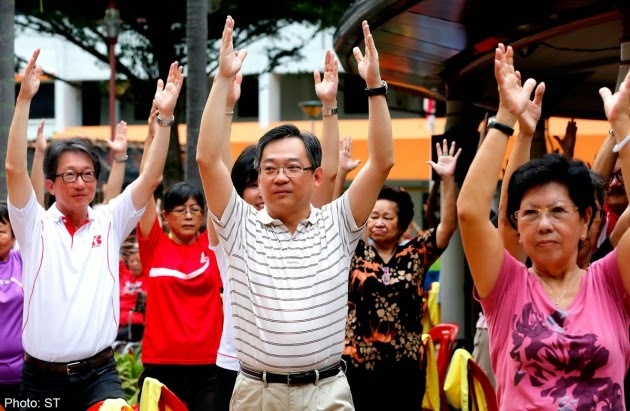 The People’s Action Party Seniors Group (PAP.SG), which focuses on ageing issues, is urging the Government to introduce a legislation that will enforce raising the rehiring age to 67. In a position paper submitted to the Ministry of Manpower today (Nov 18), PAP.SG said the Government has accepted the recommendation by the Tripartite Committee on Employability of Older Workers to increase the rehiring age from 65 to 67 years and companies that adopt it will be given incentives. However, no date has been fixed as to when the legislation will be introduced to “compulsorily effect this change”. 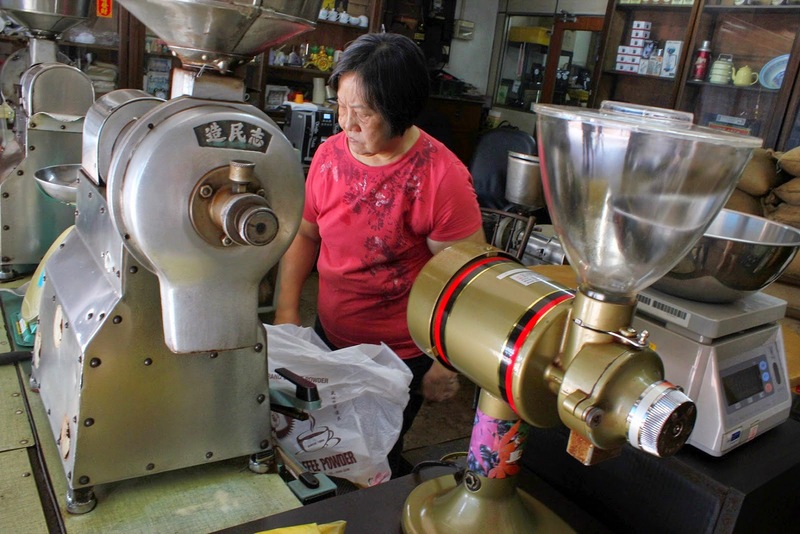 “While promotional means may work for the unionised sector where, through collective bargaining, the unions could push employers to implement the higher rehiring age, it may not be so effective in the non-unionised sector where the majority of the workers are employed,” the group said in its paper, which was signed by Speaker of Parliament Halimah Yacob, chairman of the group. What is SG50? Well, it represents the little red dot that we’ve come to know as home. The logo celebrates the Singaporean spirit – signifying that our dreams are not limited by the physical size of our island nation. Use it to show your love in your own way. "Through the lens of our Pioneers, we learn the values and beliefs that will enable us to build a better tomorrow." Speaking at the PAP’s 60th anniversary dinner and awards ceremony this evening, Mr Khaw said that the new resolution “defines the party’s objectives in our new way forward”. The key points of the PAP’s new Resolution include: strengthening the Singaporean identity, creating more opportunities for all Singaporeans, upholding a open and compassionate meritocracy, building a fair and just society, developing a democracy of deeds, and becoming a responsive and responsible government. With the January 2017 deadline for the next General Election looming closer, the Elections Department (ELD) has been calling up public servants for training to be election officials, as part of the electoral process. Teachers TODAY spoke to confirmed that they have received letters – some last month and others in the past week – informing them that they have been identified as election officials, and requiring them to complete an online training module before attending in-person training at a later date. 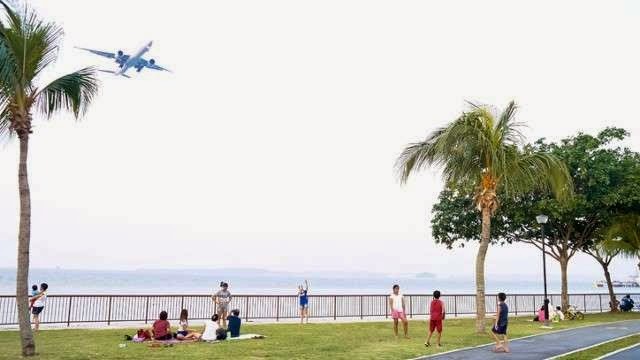 A trip to Changi Village takes commitment especially for those of us who don’t belong to the ‘east-siders’. 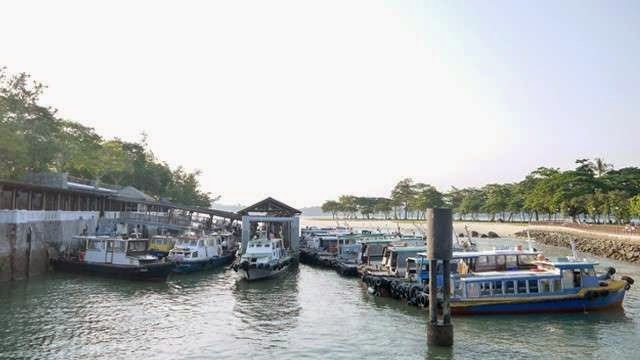 Located at the most eastern end of our little island, the sleepy town is an HDB village with stunning seaside vibes and a rich history, and it’s packed with so much laidback charm it’s definitely worth braving the long journey to get there. Surrounded by old colonial houses, government chalets amid the lush greenery, and a multitude of gastronomical delights from tasty hawker fare, trendy cafés and laid-back pubs to western and middle-eastern eateries, Changi Village is one place everyone absolutely needs to visit because there’s a whole bunch of sights to take in.To get there: Take the MRT to Tanah Merah then board bus no. 2 to Changi Village bus interchange. 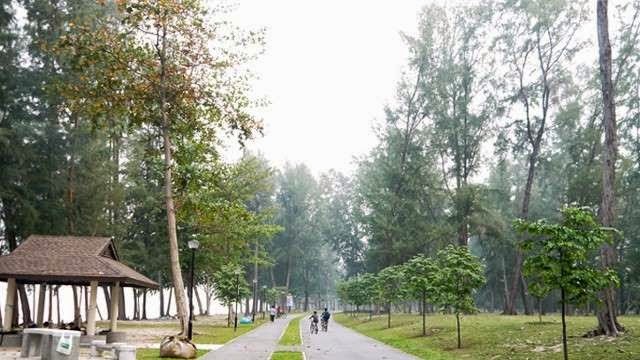 From gastronomical delights and idyllic charm to lush coastal greenery, there’s just something unique about life in Changi Village. 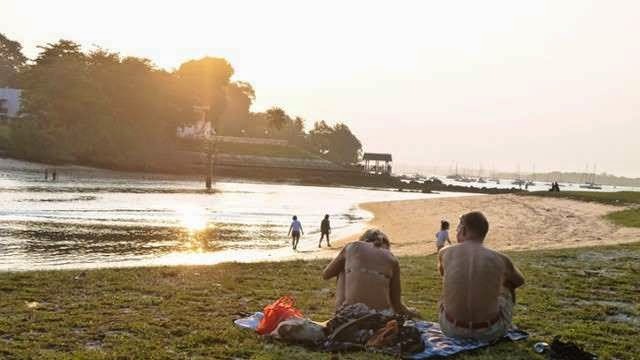 SINGAPORE: Idyllic, rustic and homely - Changi Village is one of the few places in Singapore that truly deserves such a description. On weekends, the area teems with crowds, from cycling enthusiasts to people having supper. 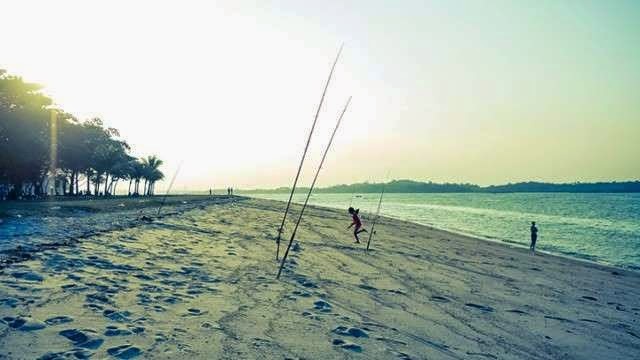 However, before it became a popular location for leisure pursuits, Changi was known as a military base set up by the British for its Far Eastern defences in the 1930s. It only flourished when the British Royal Air Force (RAF) was firmly established at the base after World War Two. Ex-RAF serviceman Mr Mike James used to be stationed at Changi, and remembers the days when Changi Village was part of the RAF camp. "The Village was our shopping centre, you might say. I used to go to the Village at least once a day and try to do some shopping. If we wanted any clothing, we went there." TOC: Who decides on govt grants? TOC: TPTC rakes up operating deficits since FY10? TOC: MND’s statement on town councils: Another “half the story” clarification? TOC: Did Desmond Lee tell the whole story? 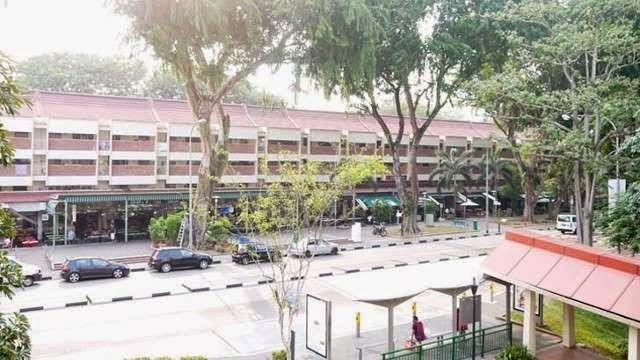 TOC: Aljunied’s surplus transferred to sinking fund when PAP lost to WP? TR Emeritus: Is Tanjong Pagar GRC the worst run Town Council? TR Emeritus: Lim on arrears: What’d happen if WP were to run SG? TR Emeritus: Why does Aljunied always fail town council report? TR Emeritus: Desmond Lee, all town councils run deficits! 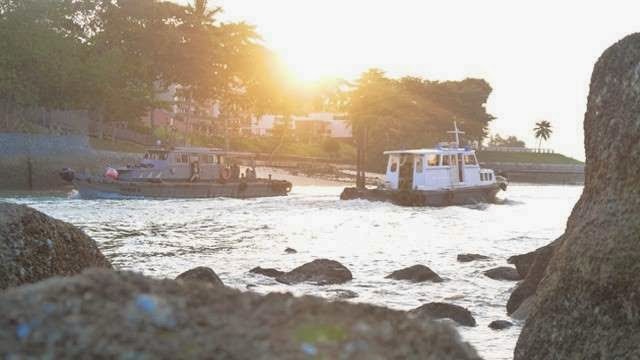 TRS: TOWN COUNCIL OR LOAN SHARK? TRS: POLITICAL BUSKING BY MIW SHOULD BE REGULATED! 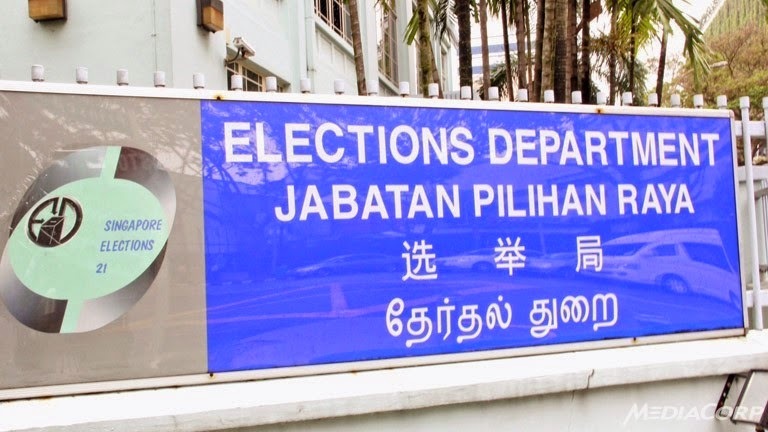 Sg GE2016:: Worker's Party "Responds" to MND's Town Council Report - Not! Sg Talk: If put WP in charge of the country, what will be the outcome??? Leong Sze Hian: “All bloggers are equal, but some are more equal than others”? WonderPeace: Political Busking By MIW should be regulated! 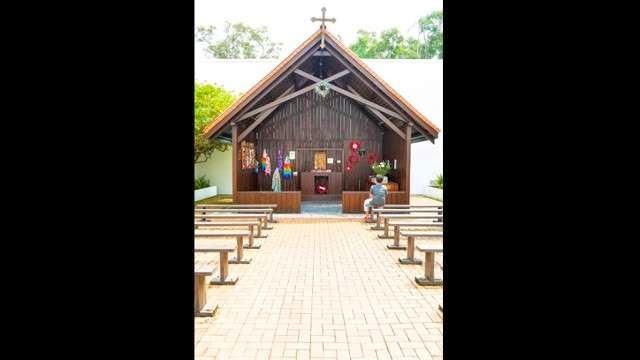 否极泰来 Piji Tailai: The Coming of Humble, HDB-type PM in Singapore? 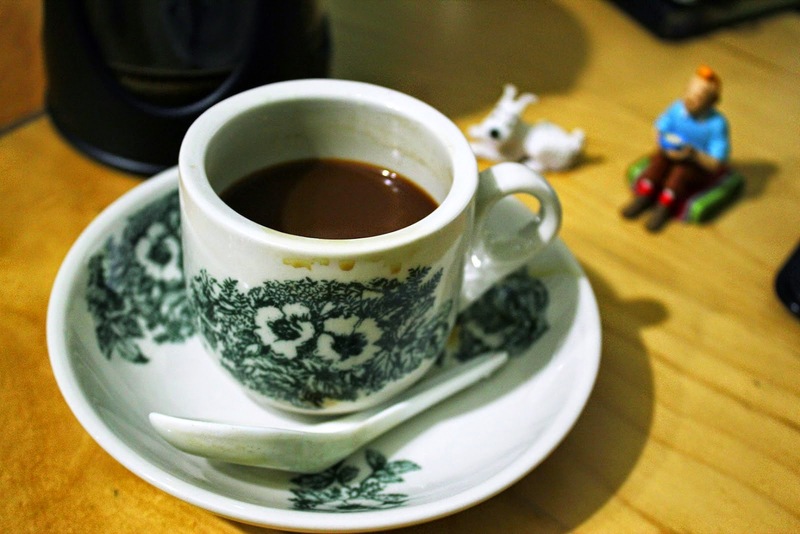 A Singaporean at Home: Town Council debacle: That sinking feeling. Lemon Today: How to Cook EXCUSES? Sylvia Lim? Five Stars and a Moon: Why is AHPETC in the red? 6 Days of Total Darkness in December 2014!